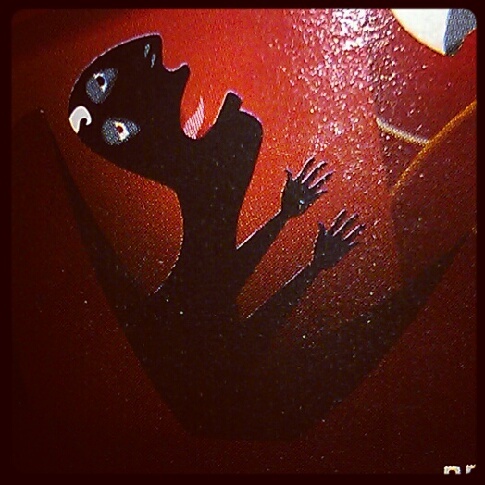 Yesterday evening. Thursday.Tough week. One day to the weekend. The weather’s taken another turn and it’s end-of-the-world storms yet again. I have a secret weapon though. There’s a bottle of Christmas beer waiting in the kitchen and this lovely British summer evening is the kind of evening it was made for so let’s crack that bad boy open. 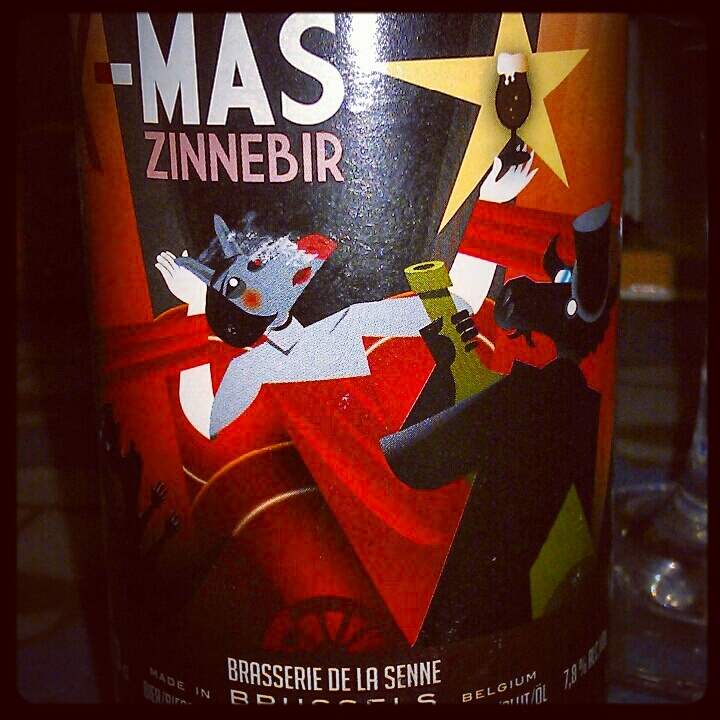 X-Mas Zinnebir from Brasserie de la Senne (7.8%). We like Christmas beers at Bierebelle’s base. Warm, generous fruitcake and spices….exactly the right thing for a cold, rainy evening. The perfect night cap. Poured from the bottle, X-Mas is a beautiful, deep red and smells like rich banana bread with plump raisins…very appetising. Taking a sip it’s…hang on…go slower monkey what the holy hell is this!?!? Seriously I’ve had some bitter beers in my time but this is just so stark and alien and just weird. It takes me back that’s for sure. As a teenager I had a friend determined to stop biting her nails so her mother bought her some bitter-nasting nail polish designed to help discourage her. That’s what it takes me back to. I bravely go for another sip because my mouth is starting to dry. I swirl it over my taste buds for a little while longer than the first sip and I start to realise the worst bit is actually the initial taste. Oh and the after-taste. But what about that fabulous bit in the middle, the bit that seems to get better with every sip? Am I even building immunity to the bitterness? There’s nutmeg, allspice, bananas and the burnt currants picked from the edge of a freshly baked scone and even a slight sweetness under that bitter exterior. But the bitterness hits back at the end, coating the roof of the mouth and the tongue with a dryness, almost sticking them together. The most genuinely surprising beer I’ve had in a long time but did I like it…really I can’t say…Try one and see for yourself.